Want to Add Unique or Vintage Accents to Your Room? Looking for striking design ideas? Don’t restrict yourself to the colour on walls. Unique or vintage living or dining room furniture can make a bold statement. You don’t need a full set. Even a single piece (or two) can bring drama into your room. Less is always more when it comes to creating show stopper décor! To make your decorating dreams a reality, follow these simple guidelines shared by our design experts. You can also be inspired by the fine displays in our huge showroom. Start with an inspirational piece of furniture. 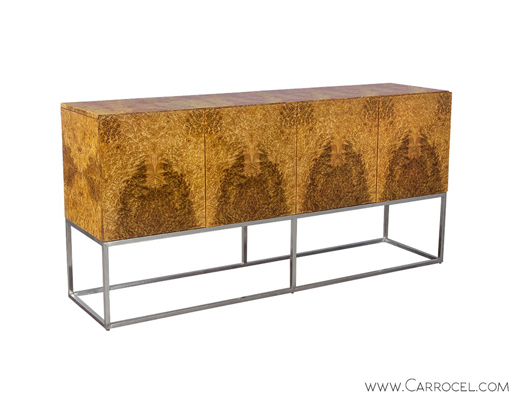 Our Golden Madrone Modern SideboardMilo Baughman Burled Dining Table is a stunning example. This original piece is a stylish version of Milo Baughman’s classic design and can set the stage for a dramatic impact. Be inspired by leather textures for accent colours. 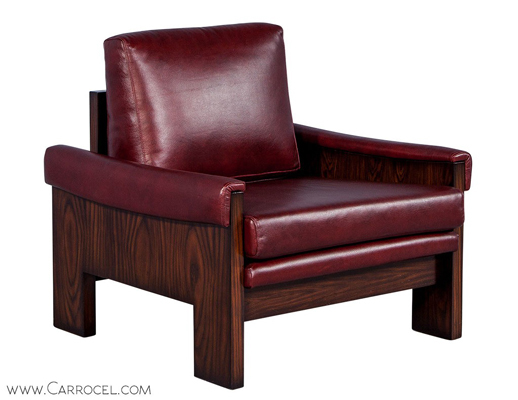 Carrocel’s Modernist Rosewood Red Leather Lounge Chair offers an interesting palate. The vintage rosewood frame has a gorgeous grain and polish while the luxurious red leather upholstery adds a magnificent pop of colour that can bring any design idea to life. Get emotional and be inspired by the environment around you. Choose hues that match your personality. Think of shades that make you feel warm and fuzzy inside. Or simply follow nature’s lead. Replicate the colourful foliage or the crisp blue sky. Pick one unique piece of furniture. 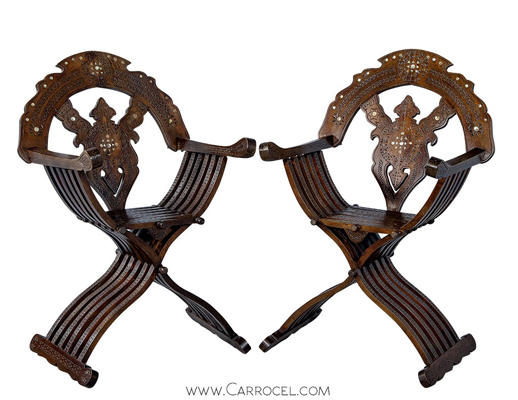 Our Italian Inlaid Folding Savonarola Chairs are pure works of art. 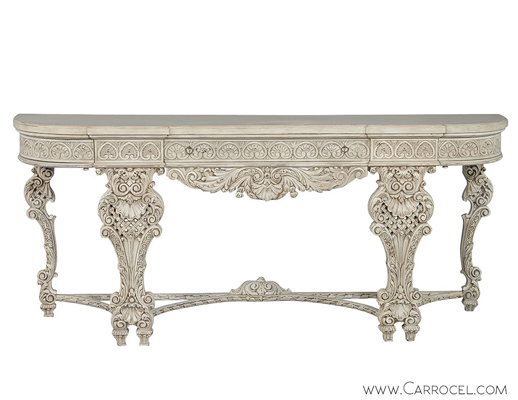 The finely carved, detailed patterns and mother-of- pearl inlay will take your breath away. 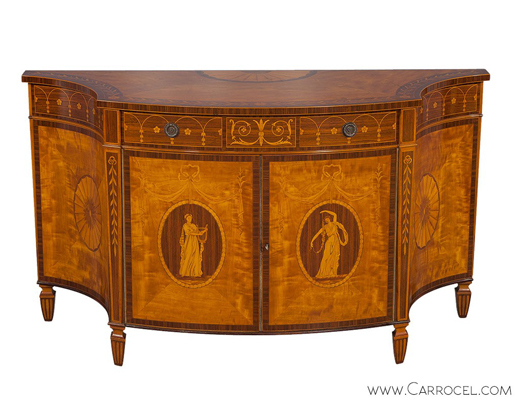 Or take a look at the French Hand Carved Louis XV Rococo Style Console. Its intricately-carved apron and legs feature Louis XV Rocaille and floral motifs for unmatched elegance. We can show you how to integrate it into your room design. Include something in black. 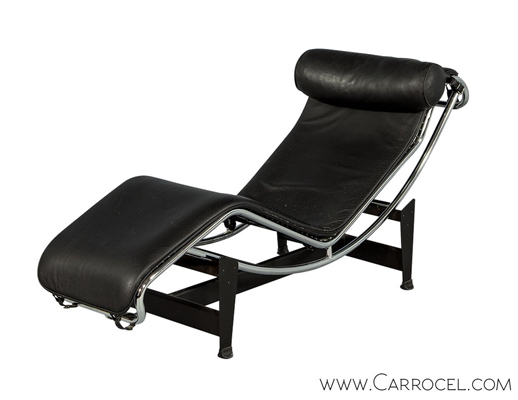 For example, this Vintage Italian Chaise Lounger or Greek Ebonized Key Chest. It brings out the other colours in the room. Both pieces also score full marks for functionality and style. Dare to be different. A traditional table and chairs can be staid and boring. 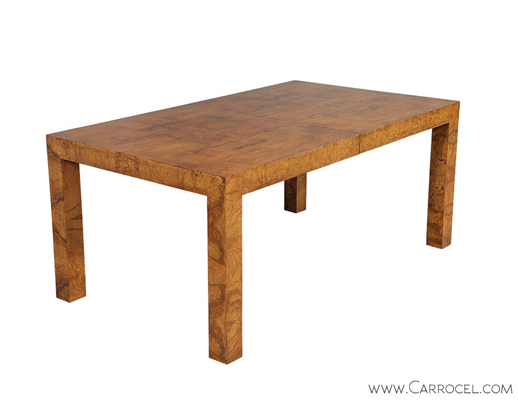 Carrocel’s Milo Baughman Burled Dining Table oozes character and promises years of warm gatherings over a meal. 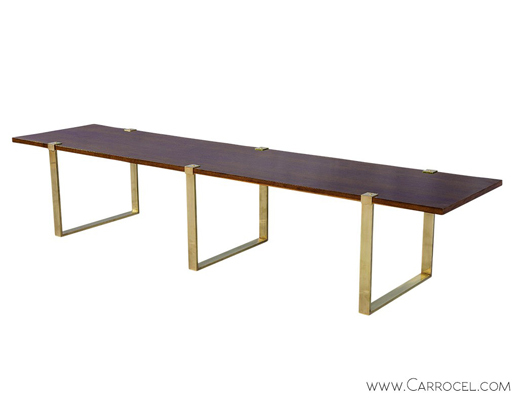 Replace two dining chairs or add extra seating with our Modern Walnut Brass Bench. A unique combination of rich walnut and polished steel, this statement piece will make you fall in love all over again. When picking dark colours for accents, use natural materials. Think about living room furniture with dark stains, for instance. Lighten it up with patterned or neutral-coloured upholstery. Take an upholstery sample home. Keep it for a while to determine whether you like living with that particular pattern or print. Finding it hard to pull your decorating ideas together? Come and be inspired by the living and dining room furniture displays in our showroom. 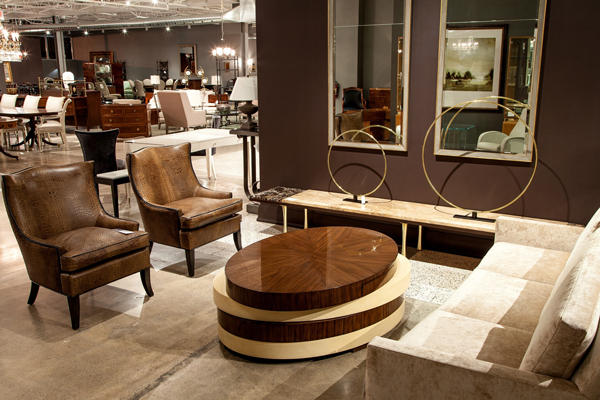 Our staff is happy to show you around and help you pick out pieces that suit your style and design vision. Give your space a unique and elegant flair by adding fine furniture into your home. Unique, vintage or modern; we have just what you need! 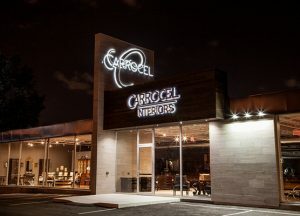 For over 30 years, Carrocel has offered an original and timeless selection with custom options to create your unique style. 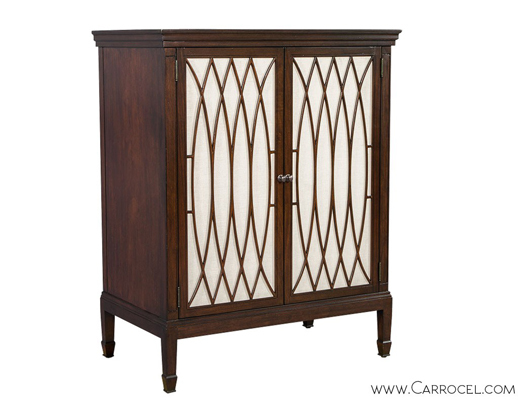 We believe that your furniture should reflect your personality and enliven your home. Each unique piece delivers beauty, functionality and lasting value. 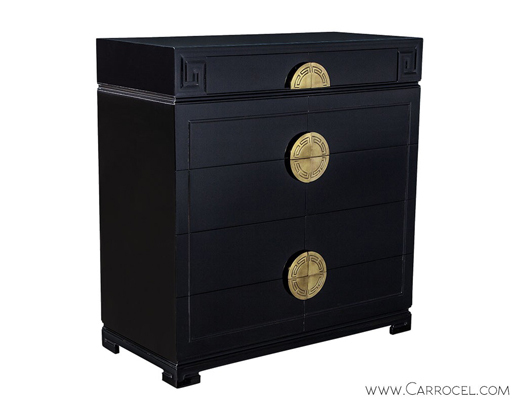 We bring you furniture styles from around the world to suit your discerning tastes. Visit our furniture showroom to check out our living and dining room collections. Contact us at 416-999-2525 for more information.